Previously non-kosher cafe in Tel Aviv joins Tzohar kashrut supervision program. The Tzohar Rabbinical Organization announced Sunday that Aroma Cafe's flagship branch in Tel Aviv, located in Dizengoff Center, has become kosher under their supervision. The branch had previously been without any kashrut supervision. The announcement was published following the decision of Attorney General Avichai Mandelblit to ban businesses from presenting a kashrut certificate from a private body other than the Chief Rabbinate. Tzohar stated that one of its goals is to increase the number of kosher consumers in Israel, and that the cafe's agreement to operate under its supervision proves that the organization is succeeding, as the branch serves thousands of customers every week. "The branch operated for years without a kashrut certificate, and now after our thorough training, the branch has opened its doors to the religious public," Tzohar said in a statement. This is the second branch of the Aroma chain in Tel Aviv which has decided to join Tzohar's kashrut organization. To date, the project has been joined by restaurants, coffee shops, factories, business owners and catering rooms in various kibbutzim. 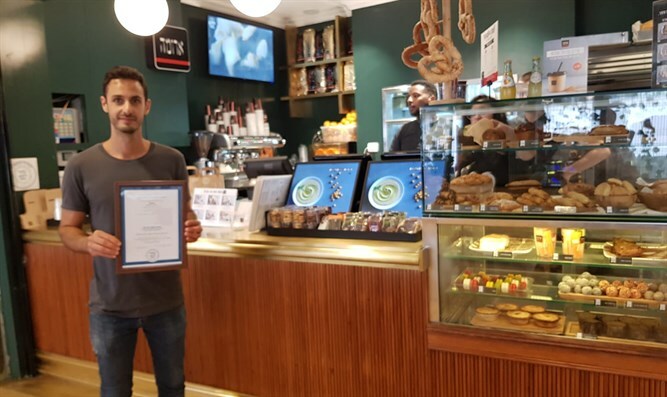 The head of the Kashrut project, Rabbi Rafi Feuerstein, said, "We were delighted to have a kashrut certificate for the Aroma branch in Dizengoff Center, and this certificate attests to the kashrut of another Aroma chain. Like its predecessor, this branch has not been kosher to this day. We are pleased that those who observe kashrut have another kosher address in the heart of Tel Aviv."